Easter Dinner at a Winery? Don’t feel like cooking this Easter? 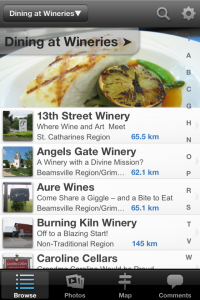 Why not celebrate Easter at one of 20+ Ontario wineries that have restaurants – most of them will feature special Easter menus. For a list of wineries with restaurants, check out the Dining at Wineries category in the App. Bookmark this article Easter Dinner at a Winery?